Created for instant energy, this fuelling1 formula combines maltodextrin and fructose with an electrolyte and vitamin blend for an all-in-one energy gel — helping you get the most from your body. Batch tested by Informed-Sport, our Energy Gel Elite has been tested for naturally occurring banned substances by LGC's world-class sports lab in line with the World Anti-Doping Agency (WADA) guidelines, and is officially safe for professional athletes of all levels. Packed with 25g of carbs, in a 3:1 maltodextrin to fructose ratio, it provides the fuel1 you need to succeed — in the gym, track, or on the pitch. And, we’ve included an electrolyte and B vitamin blend that will help you stay fighting fit, while reducing tiredness and fatigue2,3 — so that you’re ready to take on any challenge, feeling your best. 2. Vitamin B6 and B12 contribute to the reduction of tiredness and fatigue. When to take Energy Gel? These super-convenient sachets can be taken anywhere, anytime you need an energising boost. Consume as part of a balanced and varied diet. Suitable for vegetarians and vegans. Keep out of reach of children. Tropical: Water, Maltodextrin, Fructose, Acidity Regulator (Citric Acid), Electrolyte Blend (0.6%) (Sodium Chloride, Potassium Chloride, Calcium Lactate, Magnesium Carbonate), Gelling Agent (Cellulose Gum), Natural Flavouring, Preservative (Potassium Sorbate), B-vitamin Blend (0.01%)(Niacin, Riboflavin, Vitamin B6, Thiamin, Vitamin B12). Orange: Water, Maltodextrin, Fructose, Acidity Regulator (Citric Acid), Electrolyte Blend (0.6%) (Sodium Chloride, Potassium Chloride, Calcium Lactate, Magnesium Carbonate), Gelling Agent (Cellulose Gum), Natural Flavouring, Preservative (Potassium Sorbate), B-vitamin Blend (0.01%)(Niacin, Riboflavin, Vitamin B6, Thiamin, Vitamin B12). 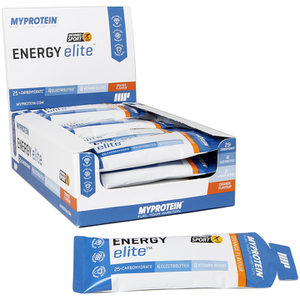 Flavoured carbohydrate sports gel drink with electrolytes and B vitamins. I used this for the first time during my marathon training, during this session I completed half a marathon. I took one at the 10km mark and at 16km. I recorded my best ever time, cutting 8 minutes off my PB. I felt energised all the way through. Hard to tell if this is what helped, or the continual training, however, it tastes great and didn't upset my stomach, as I tend to find sports drinks do. 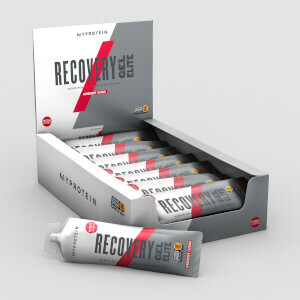 I would recommend this product to anyone; give it a go and see how it helps you! Good product, does what it's supposed to do. The only thing I would say is it's not the best taste. I can work with this product. Gets me around half marathon without cramping. Recommended! I really like this product. Taste is awesome. Highly recommended. This product is awful, it’s tasteless and left me feeling unwell and extremely dehydrated. The taste is so weak and I just felt sick so was unable to work out. I would not recommend this product I’m gutted I wasted my money only had 1 sachet as I felt so ill. It gives you that extra energy you need to push through the hard miles on the road. Arrived quickly and well packaged. Have used these in training runs before deciding whether to use in a race. They tasted good and I did not have any stomach issues during or after use. Help fuel me for the longer runs.